In this section we cover all the top gun accessories for your needs. Everything from cleaning kits to belts we got a great review written by one of our expert writers to help you find the best products. Talking care of your gun and having the right gear is just as important as selecting the right firearm for your needs. Quality gun accessories will help you increase the longevity of your gun, protect it from use and mostly importantly – ensure that it functions safely. 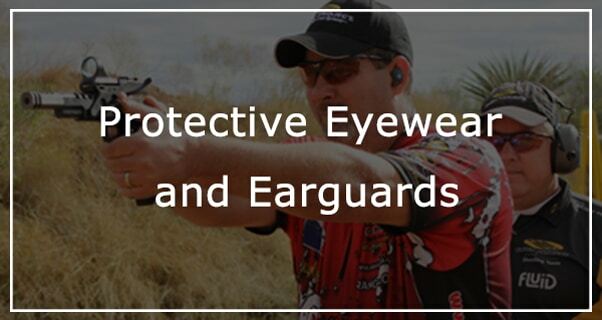 When it comes to shooting we advise everyone to spend time finding quality eyewear and protective earguards. These days there is so much garbage on the market you need to take time to find the best equipment possible. All our reviews are the results of thousands of hours of shooting and practice. All the products we recommend have been used by either Chris, Will or Sam. If you have any other products or areas you’d like us to review or take a look at please contact us. Best Shooting Glasses – In this great review, Chris breaks down the top ten brands of shooting glasses. A couple of the brands we reviewed are Wiley, Oakley and Tombstone. We broke this review down into a few different categories : glasses for duck hunting, target shooting, range shooting and automatic weapons. 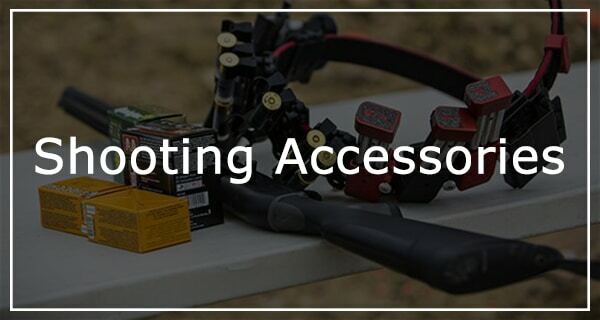 Best Shooting Ear Protection – Protecting your ears is shooting safety 101. It’s still amazing how many people opt to use crappy protective gear when shooting. This is your hearing we are talking about and long term damage to your ears is a very real concern. I strongly advise anyone who is looking for ear protectors for shooting to read our in-depth review. Best Gun Cleaning Kits – Your guns need regular cleaning just like your teeth. If you’re planning on shooting a safe firearm well into the future or even one day selling of giving your weapon to a friend or relative it’s imperative that you take good care of it. 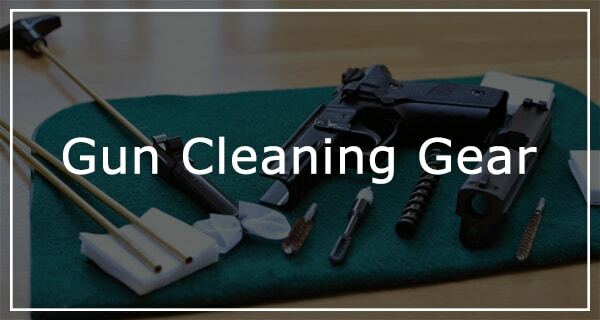 This guide shows you the basics of how to clean your gun and also some of our top recommended cleaning kits. AR 15 Cleaning Kit – This guide is specifically for the AR-15, we cover some of the best cleaning kits, brushes and solutions to keep your AR-15 looking spotless and performing flawlessly. All tried and tested products as well. Dewey Rods – For those new to gun ownership and cleaning, these are flexible tubes that you insert down the barrel of your weapon in order to clean any caked-on deposits from the barrel and breach. Best Gun Oil Lube – What’s the best make of gun oil that you need to clean your firearm? We go over the different options you have on the market today. 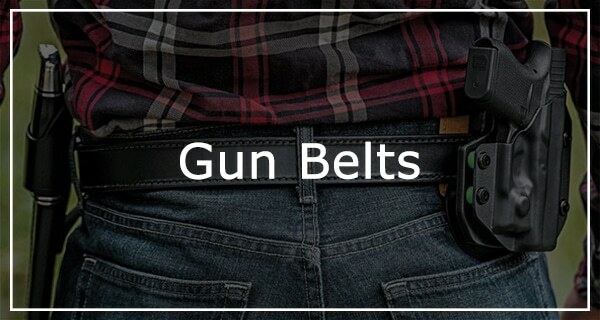 3 Gun Belt – A gun belt is easily one of the most overlooked EDC items to consider. Best Tactical Belt – There’s a lot of tactical belts on the market today, and not all of them are created equally. Let’s go over your best choices. ar500 Armor – Our detailed review of the AR500 armor and how it can benefit you. Crazy Guns That Never Were – The title says it all: the craziest guns in history that never came to be. Slings or Rifles and Shotguns – All the best rifle slings you need to get for your shotgun, hunting rifle or range gear. Getting a quality sling is an essential tool for any hunter or any serious range shooter. We all know how heavy carrying around a heavy rifle can be, slings help ease that burden and stabilize your rifle. Range Bags – A good-quality range bag is the first thing you’ll need, specifically one that’s filled with the right gear. Having a great range bag can make your shooting experience more enjoyable and much more beneficial. Overpowered Guns and Cartridges – Let’s face it: some calibers and guns are just overpowered for general uses. Pistol Bags – Over the last 20 years, pistol bags have become more and more popular. Created and designed for weather resistance, maximum durability and support during transit, pistol bags offer you a plethora of storage space for everything you need while at the shooting range. Tactical Backpack – One of the most important pieces of gear every outdoorsman needs to have is a tactical backpack. It carries all your valuable equipment while giving you the comfort of knowing that all of your equipment is safe and easily accessible when you need it. Tactical Fanny Pack – Adding a fanny pack to your load will give you just enough room to carry a few smaller essential items with you. Top 5 Best Stun Guns – Stun guns are invaluable as personal defense weapons. They are usually compact, easy to operate, and can quickly and easily drop your attacker to their knees in a matter of seconds… if the loud electrical pops and bright flashes don’t deter them first. Stun Gun vs Taser – Both deliver non-lethal, super-high voltage electric shock to incapacitate a target, the only thing seemingly different between each platform being their method of delivering electric shock. But would either be enough for self defense? Top 5 Reflex Sights – Reflex sights give shooters the ability to shoot straight and fast. The reticles are often simple and allow the shooter to simply put a dot on target and pull the trigger. Labor Sight Sighter – Laser bore sighters are among the most overlooked tools you can use to improve your accuracy and shooting skills. Military Grade Plate Carriers – Plate carrier vests provide you the most protection possible thanks to their ability to hold bulletproof metal or ceramic ballistics plates. As an added bonus, the majority of them also double as modular vests, allowing you to expand your load carrying capabilities. Tactical Watches – Tactical watches can serve a variety of purposes from keeping you on track during a long trek thanks to GPS or compass functions, alert you to bad weather in your area, and some can even track your physical performance. Tactical Pants – No matter what your activity, a pair of tactical pants is a great addition to anyone’s wardrobe. They’re durable, flexible and can handle a surplus of storage, so much that you’ll never regret investing in a pair. Parachord Bracelets – A parachord bracelet is one of the most handy EDC/survival items you can have. We go over the best the market has to offer today. Tactical Pens – Tactical pens are one of the most overlooked of these tools. These are metal clones are writing pens, but have features that make them useful as a weapon or tactical tool. Cowboy Shooting – Everything you wanted to know about shooting like a cowboy. Shooting Bench Plans – Everything you need to know about building and maintaining your own shooting bench. Bulletproof Backpack – Everything you need to know about bullet proof backpacks. Tactical Stocking – Tactical stockings! Not for Christmas! Target Stands – A discussion of the best target stands to drastically improve your shooting skills. Combat Flip Flops – Tactical camping to the next level! Tactical Hats – You asked for it, we reviewed it! Matching Twists and Bullets – Explaining barrel twist rates and how they impact your shooting skills. Backpack Chair – What makes backpacking chairs a better choice than normal camping chairs? Read on to find out! Tactical Gloves – The best makes of tactical gloves on the market today. Tactical Helmet – A tactical helmet is not something you want to neglect as part of your tactical set up. Here’s why and how to choose the best helmet for you. How To Stipple A Glock – Stippling the grip of your Glock will help give you a more secure grasp in wet and slippery conditions. Best Laser Training System – Want to find out how you can improve your target shooting skills without having to go to the range? Check this out! Best 1911 Magazines – Fun fact: not all 1911 magazines are good. Fortunately, we outline and explain to you what the very best 1911 magazines you can buy are here. Best Chest Rig – What’s the best tactical chest rig you can buy? Read on to find out! Best Trail Camera – An outline and discussion of the best trail cameras you can use. What is Tannerite – What is tannerite and how can you use it? Read on to find out! Best Shooting Chronograph – What’s the best shooting chronography you can buy? Read on to find out! Best Fire Starter – Having a fire starter in your bug out bag or survival kit is always a wise idea, and it’s also wise to know what your different options are. Best Concealed Carry Purse – Not all concealed carry purposes are created equally, and we go over the best options. Top 4 Tactical Tomahawks – Tomahawks still serve a purpose even in the 21st Century of today. Check out the top four tactical tomahawks that you can buy. Best Scope Rings – Equally as important as having a good scope is also having good scope rings for that scope. Kids and Gun Safety – Children and gun safety is a very serious topic that every parent needs to learn more about. Best Body Armor – Body armor can keep you safe when the bullets start flying. Find out what your best options are here. Best Compact Binoculars – If you don’t just want binoculars, but small binoculars that are light and easy to carry, read on. Best Bear Spray – Not all bear spray is effective against grizzlies, but we’ll go over what your best options are in this article. Best Ferro Rod – A ferro rod is one of the best but also one of the most overlooked fire starters you can buy. Let’s go over the reasons why. Best Survival Tools – What are some of the best tools that you need in your survival kit? We go over your options. Best EDC Gear – Everyone needs high quality gear and equipment in their personal everyday carry (EDC) set up. Best Deer Attractant – A breakdown of the best attractant options you have to speed up your next deer hunt. Best Hunting Boots – A good pair of boots are absolutely essential as a hunter. We go over some of the best options you have today. Best Survival Lighter – Lighters are without question one of the most practical and convenient choices for a survival fire starter. Let’s go over the best lighters you can get. Best Pepper Spray – Everything you wanted to know about the best pepper spray options for self defense. Best Survival Kit – Premade survival kits are always a practical and conveneint thing to throw in your car or to keep in your home. Best Bow Stabilizer – Everything that you need to know about the best bow stabilizers on the market today. Best Shortwave Radio – Communication devices are key items to have in any SHTF scenario. Best Tactical Knives – Tactical knives come in many different varieties, and we go over your best options here. Best Hunting Packs – Not all hunting packs are created equally, and we’ll go over the best bags with the best features. Best Bug-out Bag – Every person should have a bug out bag, and that starts with choosing a high quality bag in the first place. Best Hunting Slingshot – Never underestimate the slingshot as a hunting or as a defensive weapon. We discuss this topic in-depth here. Best Car Emergency Kit – Do you have an emergency kit in your car? If not, you’ll definitely want to change that right now. Fundamental Tactical Necessities – As part of your tactical set up, there are some items that you just need to have. Best Pistol Lights – What are some of the best flashlights to add to your pistol? We go over your options. 5 Shooting Essentials – What To Bring On Range Day – Here are the top five essentials that you may have forgotten to bring to your last range session. How To Sight A Crossbow Scope – Need to know how to sight in your crossbow scope? You’ve come to the right place. American Flag Gun Case– Our reviews of the American flag gun cases. Thermal Scope – Our review of the best thermal scopes that you can buy toady. Best Reflex Sights – Our review of the best reflex sights that you can buy on the market today. Best Tactical Pants – Everything you wanted to know about the best tactical pants on the market today.